narrow demographic – those with children. In Provence the concept of La Rentrée is rooted much deeper in everyone’s consciousness. 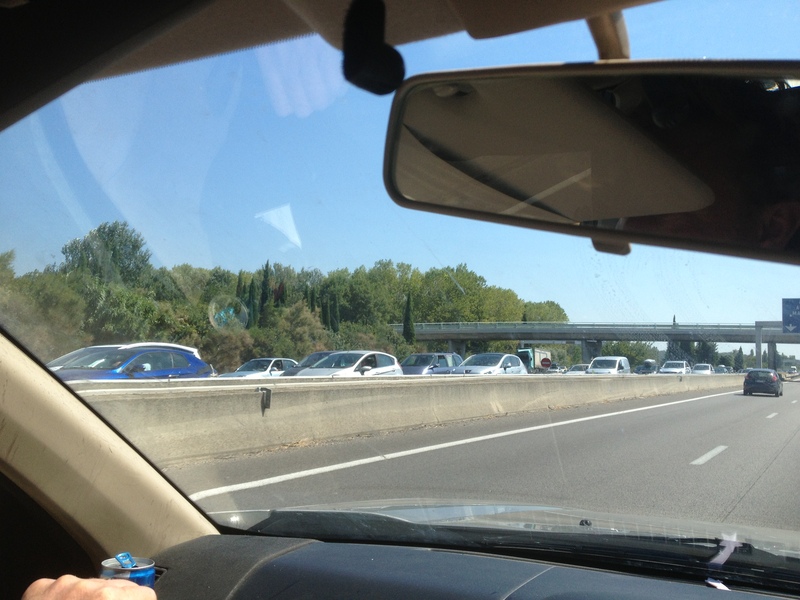 Witness the mass migration of people on the A7 (autoroute du soleil) on the final Saturday of August, as we did, and it is evident that La Rentrée is about much more than school. In Lourmarin, La Rentrée is celebrated by the village fete. 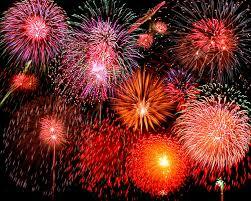 There are fairground rides and then, at the end of three days of celebrations, an enormous and extremely costly firework show. When you think about it, this level of expenditure makes no initial sense. The hordes of summer tourists have all gone home, and so the pyrotechnics, which are essentially about the village puffing outs its chest in the manner of a mating bird, are targeted at an essentially local audience. Imagine the Mayor of Chumley Bottom or some other ridiculously named village in the Cotswolds bidding farewell to all those Charlies Henrys and Humphreys at the end of their summer in the shires and then blowing the equivalent of the annual winter road salting allowance on a street party. It just wouldn’t happen. But in Lourmarin the bursts of colour in the sky are wonderfully appropriate manifestations of the spirit of La Rentrée. Far from being about going back to work or school, the essence of La Rentrée in Provence is about a return to normality, a return to enjoying life more, a celebration of the gentle blue skies of Autumn rather that the puffy heat haze of August, of being able to park your car in the local village, and buy a baguette without being jostled by an irate impatient red-faced tourist. It’s a return to the good life. Oh, and yes the kids do back to school, which helps!